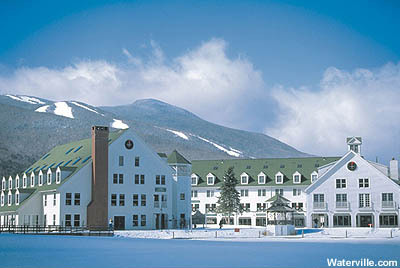 While a connection to the Waterville Valley ski area had been intended for the 1960s development, financial issues eventually took their toll, resulting in the sale of the ski area to Booth Creek. Upon Booth Creek's sale of Waterville to a group lead by the Sununu family, talk of a gondola from the village to the ski area started. 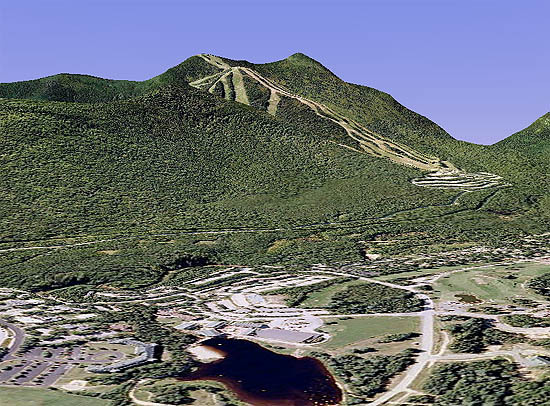 On April 27, 2011, Waterville Valley ski area General Manager Bob Fries presented to Waterville Valley Selectmen information about a potential Federal Transit Authority Grant to build a 4,000 foot long gondola from Town Square to the ski area. 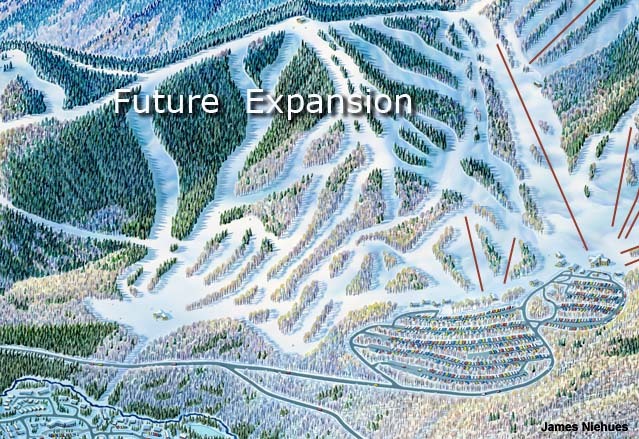 In October 2011, a proposed action to "[c]onstruct ski trails, a glade area, a lift, and snowmaking equipment and relocate one building on Green Peak. According to renderings, the village gondola would tie into a second phase of the proposed Green Peak development. 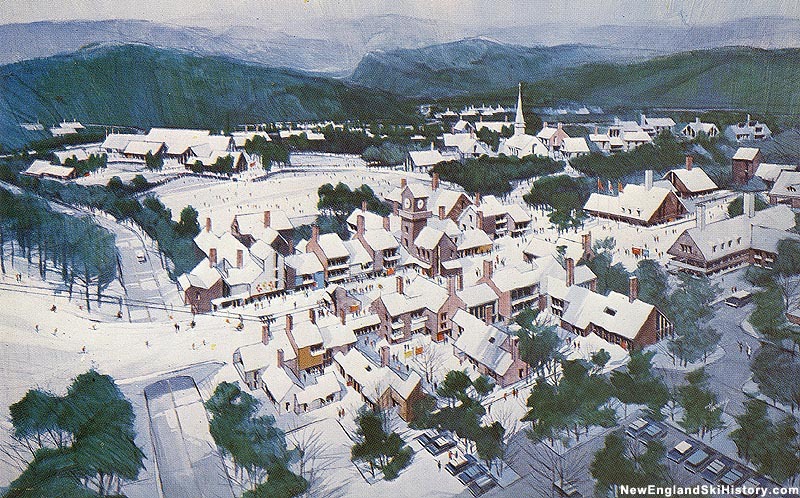 The 2015 Town of Waterville Valley Pedestrian Village Revitalization Study by Sno Engineering and VHB includes references to the proposed gondola as a way to improve transit. 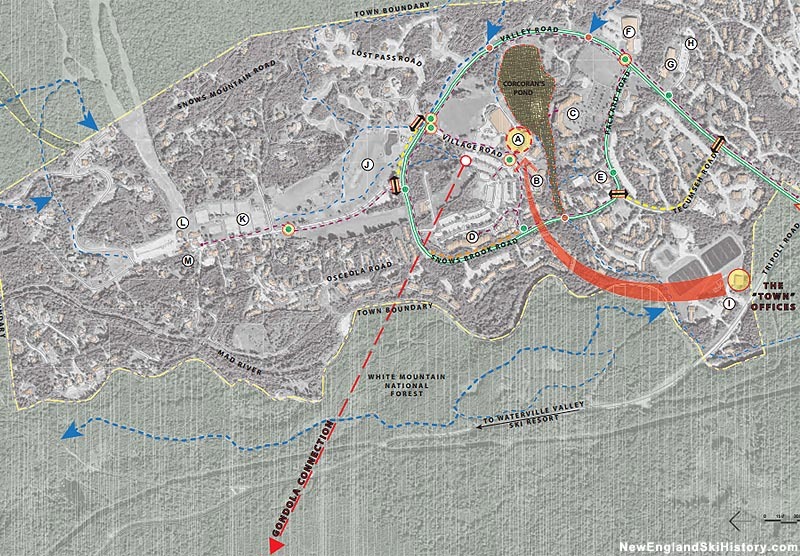 While the Village Gondola remains a possibility, it is not known if or when it will be constructed.